While at the Leading Edge Libraries Conference on September 20-21, 2018, I had the honor of participating in a panel presentation with AJ Johnson, librarian and data management guru at Walt Disney Parks & Resorts. Here is a summary of my portion of the panel, describing how I updated the records management program at Lancaster Theological Seminary to include electronic records. Many academic librarians are actively exploring how to integrate information literacy into the curricula of our schools and how to embed ourselves in courses. 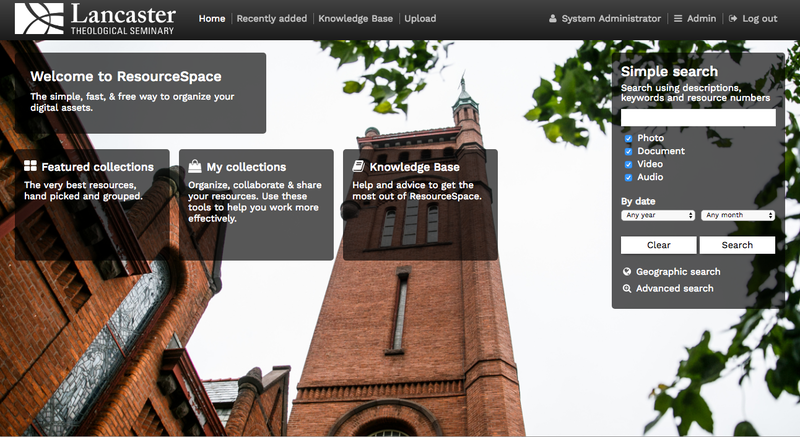 When the librarian has full access to the learning management system, these concepts can be taken to a new level as the librarian becomes a collaborator and partner to faculty in setting up competencies, developing learning outcomes, creating active learning experiences, and assessing student learning. Libraries perform a wide variety of functions in their communities. One growing role for the library is as a place for conversation and dialog. 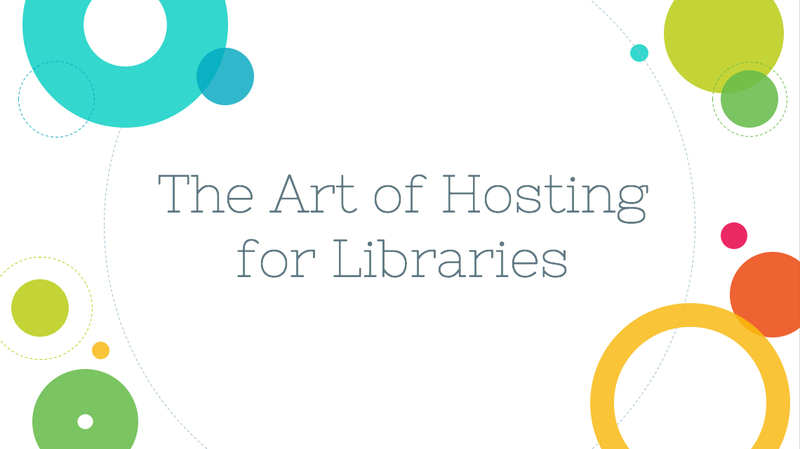 The Art of Hosting is a self-organized community of practitioners from a variety of fields who are committed to creating space for "conversations that matter." 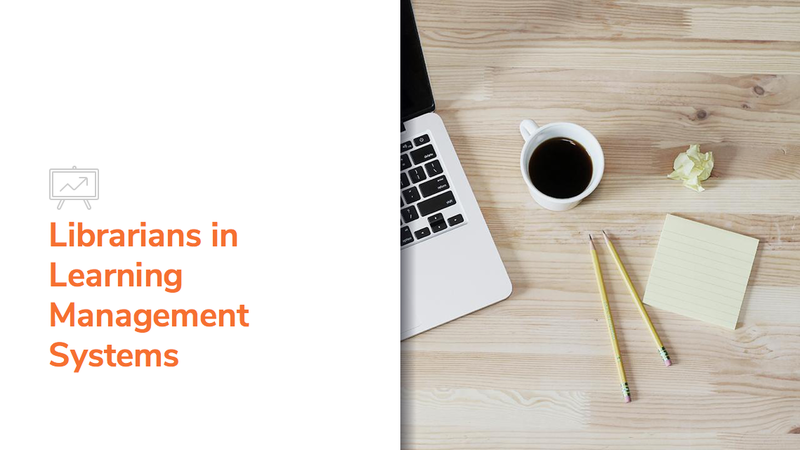 In this session, learn about the array of methodologies that are part of the Art of Hosting, hear how Lancaster Theological Seminary hosts conversations in its library, and discover new ways to connect with your patrons and communities. 20 October 2018 - This post was updated to include the YouTube recording of my presentation made by ByWater Solutions. Thanks, ByWater! At KohaCon 2018, I am presenting on how Lancaster Seminary's library integrates Koha with SubjectsPlus. 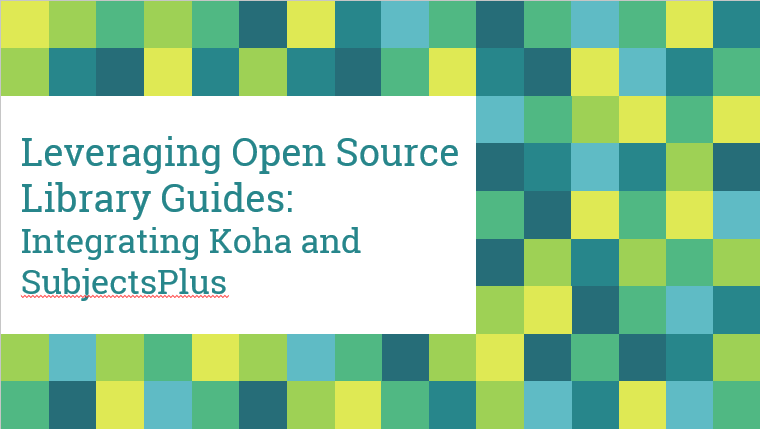 The full title of the presentation is, "Leveraging Open Source Library Guides: Integrating Koha and Subjects Plus." The presentation will be at 9:00 a.m. Pacific Time, September 11, 2018.